THE B-MOVIE NEWS VAULT: DEEP BLUE SEA's Sequel Strikes Without Warning on April 17th! DEEP BLUE SEA's Sequel Strikes Without Warning on April 17th! THE FOLLOWUP TO RENNY HARLIN'S "DEEP BLUE SEA" IS COMING STRAIGHT TO DVD & BLU-RAY DISC! DEEP BLUE SEA is definitely a guilty pleasure for many, with its infamous "stirring survival speech interrupted by killer shark" scene and cheesy (but awesome) theme song by L.L. Cool J. This unexpected sequel definitely seems to lack the charm of its predecessor, but dammit, it's a new killer shark flick, so naturally I'm drawn to it like a moth to a flame! 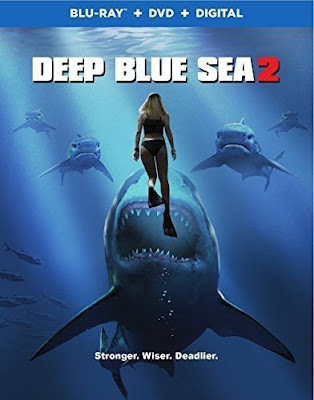 Synopsis: Carl Durant (Micheal Beach), a pharmaceutical entrepreneur, tests drugs on bull sharks in hopes to extract their antibodies to cure human diseases. Before he can continue with his experiment, he tries to enlist Misty Calhoun (Danielle Savre), a shark conservationist, and other scientists to lead and endorse this project. The drug-enhanced sharks quickly begin to adapt and learn new hunting skills. The humans lose control over the laboratory and now they have to fight to survive. DEEP BLUE SEA 2 will be available on DVD, Blu-ray, and digital HD on Tuesday, April 17th! 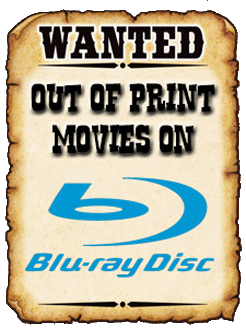 Order yourself a copy now at AMAZON (DVD / BLU-RAY / DOUBLE FEATURE DVD) or BULLMOOSE (DVD / BLU-RAY / DOUBLE FEATURE DVD)! Labels: Bull Shark, Danielle Savre, Darin Scott, Deep Blue Sea, Deep Blue Sea 2, Michael Beach, press release, Rob Mayes, sequel, sharks, Warner Bros.